Hawaii has fallen under the control of a ruthless cartel of seven gangsters. The FBI acquires the services of an ex-agent turned assassin Drew Savano (William Smith) who in turn assemble a team of seven hitmen to stop them. A bank robber fleeing on foot shoves a bag full of money into a mailbox in downtown L.A. Only he doesn't realize that there are two onlookers who are very interested in the bag's content. When a possessive narcotics detective strongly suspects that his young beautiful wife is cheating on him, he hires a professional hitman to bump her off. All the while trying to solve a string of strange murders. Watching some of Andy Sidaris' cheesy flicks of the late 70's and early 80's, you'd never know the man was a visionary in the sports television medium and a 7-time Emmy winner who directed the Olympics, Wide World of Sports and some of the early NFL telecasts. 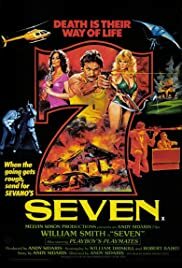 That said, "Seven" represents one of his better contributions to the B-movie genre. It boasts great scenery and the obligatory bevy of scantily-clad women that characterize a Sidaris film. And it's a treat for fans of William Smith, one of the most accomplished character actors of all time, who receives top billing and features him in the unfamiliar but welcome role of good guy. Freelance mercenary Drew Savano (Smith) is called in by a government agent to wipe out mobsters bent on taking over the state of Hawaii. For a fee of $7 million dollars, Savano assembles seven specialists (hence the title), each with a different talent, to take on the mission. Though it takes a bit long for us to be introduced to each character and assigned their individual targets, it's worth the wait to watch just how these specialists- The Dragster, The Professor, The Indian, The Playmate, The Cowboy, The Comic, The Black Belt- will take out their quarry. This movie won't remind anyone of Hamlet. Laughable dialog and various unconvincing characters (looking at Ed Parker with his bad hair and pot belly you'd never know the guy was a martial arts legend) make this more tongue-in-cheek than anything else, but it's just this approach- it's a "B" movie after all- that makes "Seven" an enjoyable watch. Lenny Montana, Art Medrano and Reggie Nalder are among the notable character actors lending their talents to "Seven". There's gorgeous former Playmate Susan Kiger and actress Barbara Leigh in bikinis for most of the movie. And Kwan Hi Lim, who seemingly appeared in every Hawaiian/Polynesian/Asian themed show covering two decades, skillfully portrays his usual oily villain. Fun stuff from Andy Sidaris. 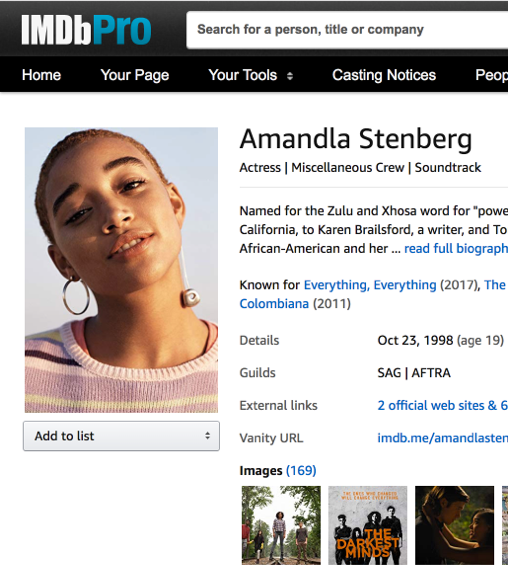 Seven stars for "Seven"!